After teasing the phone for quite some time, Vivo has finally launched the Y91 in India. It is your token mid-range smartphone geared with specifications involving a dual rear camera, a dewdrop notch, and the trendy gradient design on the back panel. 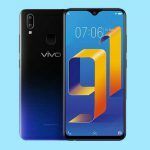 Regardless of the Vivo Y91 conforming to the mid-range trend doing rounds in the market – the phone is set to face some fierce competition from the brands like Xiaomi, Realme, and ASUS. 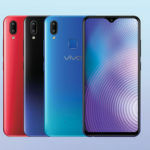 Let’s check out the Vivo Y91’s specs in detail to gauge if it will stand a chance on the market. 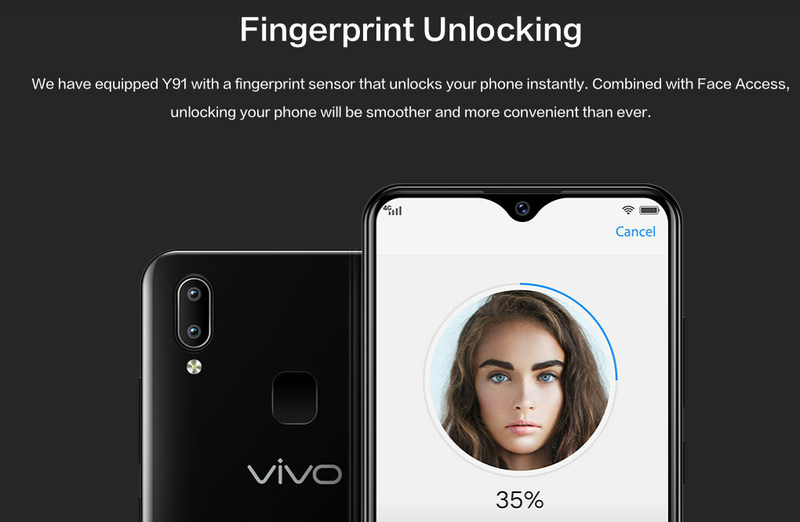 The Vivo Y91 price in India starts at INR 10,990. It is available in Ocean Blue and Starry Black color options with gradient design that offers a premium outlook. 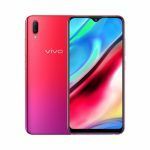 The phone is up for purchase on Amazon India and Paytm alongside the brand’s official website, the Vivo India e-shop. Not just the online retailers, the company has also partnered with offline retailers. Introductory offers on the Y91 include a free Bluetooth earphone when purchased via Vivo’s online store. 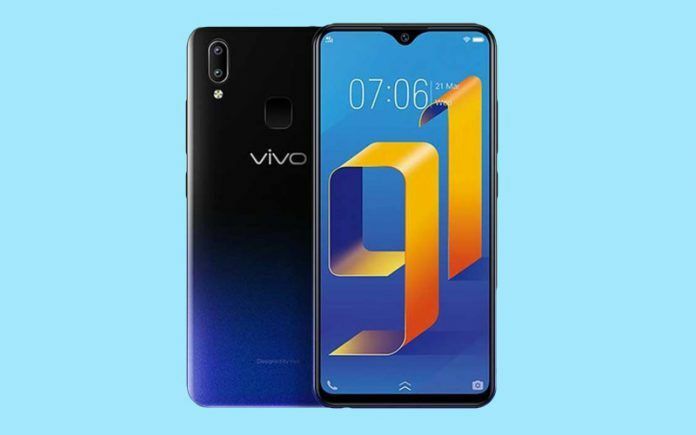 Besides, other offers available for the phone includes an exchange deal, wherein buyers can exchange their old Vivo phone for the brand new Y91. 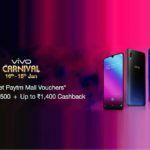 This offer is limited to Vivo phones only. Interested buyers can also opt for the no-cost EMI option to buy the phone without using all the funds at once. The phone also holds a 15-day replacement warranty, which means that buyers will have a 15-day window to replace the phone if they find any inadequacies. Vivo has also paired data offers in collaboration with Jio and Airtel. Jio users will get benefits up to INR 4,000 along with 3TB of 4G data while the Airtel users can get an instant cashback of up to INR 2,000 with 240GB of 4G data. 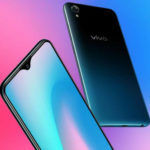 Coming to the specifications of the Vivo Y91, the phone has a 6.22-inch Halo FullView HD+ display at 720×1520 pixels resolution with a dewdrop notch on the top that is integrated with the front camera sensor. The dewdrop notch enables more screen real estate for the phone and gives it an 88.6 percent screen-to-body ratio. Powering the Y91 is an octa-core MediaTek Helio P22 processor paired with PowerVR GE8320 GPU for fulfilling the graphics requirements. Under the hood, the phone also features 2GB of RAM and 32GB of internal storage that can be further expanded up to 256GB via microSD card. For optics, the Y91 sports a 13MP+2MP dual cameras on the back with f/2.2 and f/2.4 apertures, respectively. Vivo has integrated AI-backed features for the camera on the Y91 such as smart beautification feature that detects facial attributes like skin tone, need for external lighting, gender, and more. This feature aims at enhancing the image by applying filters and adequate light. 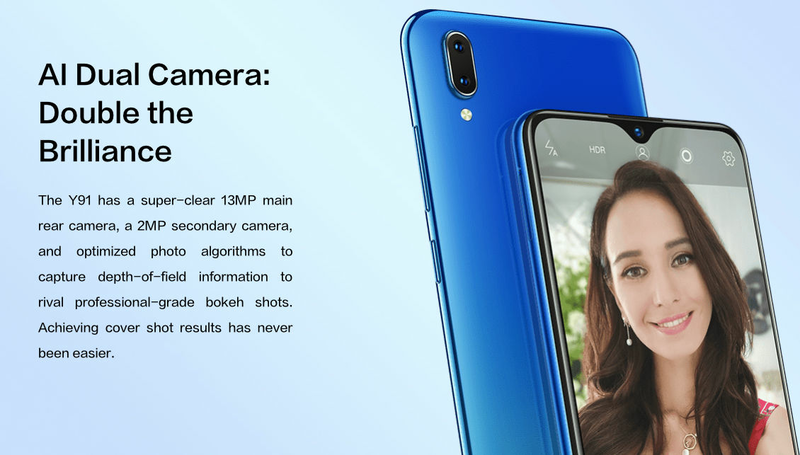 Then there are other functions that assist the 8MP front camera – Portrait mode, Slow-motion capture, and Face Unlock. The rear panel of the Y91 also features a fingerprint sensor, which is neatly tucked in the middle and slightly below the dual rear cameras. On the software side, the Y91 runs Android 8.1 Oreo-based Funtouch OS 4.5. 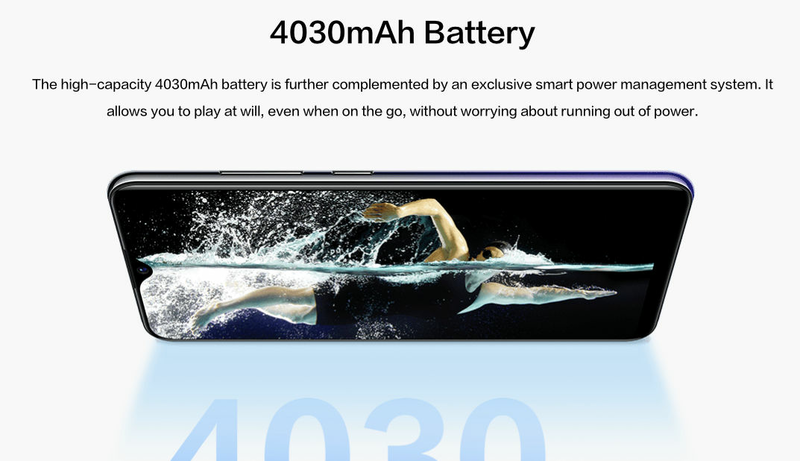 Backing the Vivo Y91 is a 4,030mAh battery integrated with native smart power management for controlled power consumption. Connectivity options on the phone include dual-SIM, 4G LTE, Wi-Fi, Bluetooth 5.0, GLONASS, GPS, and Wi-Fi 2.4G, and a USB 2.0 port. 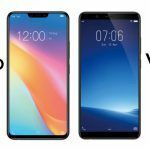 How the Vivo Y91 Compares with the Competition? Compared to the Realme 2 Pro, ASUS ZenFone Max Pro, and Redmi 6 Pro, the Vivo Y91 has a lot to make up for. The phone fails to impress us in the processor and RAM department. Except for its gradient design and overall outlook, there is nothing in the Y91 that stands better than its competitors in the market.